Recently on Facebook, I’d made an “observation” like 98% of us have, Harvey needs to get it rollin’ & this is what would look like a great time to start that process, especially with the level of the competition he’s been facing. However, unfortunately he’s still showing traces of inconsistencies since the return of not just one, but two separate surgeries on his throwing arm. The first being his Tommy John Surgery then just shortly after for thoracic outlet syndrome, which is a shoulder ailment. Harvey again has gotten some extra time to rest coming into the season & is again having a rough go around early. But by no means is this too late. It’s not too late for the Mets 2017 season & it damn sure isn’t to late Matt Harvey to turn his career back around starting Tuesday evening. 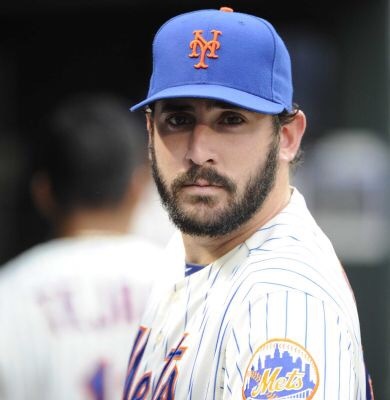 From my perspective, which weighs no different than anyone else’s, it’s time for the fans to let go of Harvey’s “Dark Knight” persona & embrace a pitcher that’ll always keep the game close & competitive. Now, while there is a large portion of fans that continue to support Harvey through his struggles, there’s also the other portion of fans that feel fed up. Nonetheless, his health & performance is what will count the most. Tuesday night, Harvey will take on Jhoulys Chacin & the Padres at Citi Field & again… this is the perfect opportunity for Harvey to get his momentum moving in a positive direction. The “Friar’s” this season have a 16-30 record & Chacin has been awful on the road, letting opposing batters hit a healthy .330 against him while sporting an ERA just under nine. So while no game or series is “do or die” for any team in the month of May, it wouldn’t be insane for Harvey to turn it around for himself, his fans, & all Mets fans against a struggling San Diego team & an atrocious road pitcher in Jhoulys Chacin. This blog may be focused on Matt Harvey but in my opinion, obviously right now is the perfect time for a handful of pitchers in the organization to either turn it around or breakthrough from the MiLB system. In the meantime, happy Harvey day, everyone.